Outback Queensland tourism operators are finding new ways to showcase the region to visitors, with new tours to show off a different side of the outback and see it from a different angle – onboard a luxury bus (new leather seats! ), a guided motorbike tour through channel country, or a birds-eye view as passenger of a new helicopter experience. For a more hands on experience of the outback, visitors can learn how to capture the magic of an outback sunset, pedal along the Great Inland Way on bicycle, or have the chance to take a swing at a million dollars! 2019 is officially the Year Of The Outback and with these new tourism experiences, it’s sure to be yours too. It’s time to swing your leg over the seat of a Royal Enfield Himalayan 400cc, wrap your hands around the throttle and listen to the rumble of the motor as you set forth on a journey through channel country. Central West Motorbike Tours offers a new way to take in the big open skies and soak up the outback sunsets. The tours cater for families, individuals or groups of up to four riders – head to Muttaburra near Barcaldine and let the adventure begin. Forget le Tour de France, and head to St George for a cycling tour through Outback Queensland along the Great Inland Way. The 11-day, 11-night supported tour travels through Roma, Injune and Rolleston before reaching the final stop in Emerald. The tour is achievable by the average cyclist and offers a chance to explore diverse flat floodplains to remnant rainforests, with two cycle-free days in Carnarvon Gorge. Including all accommodation, food and drink, and rider support, all you need to do is turn up with your bike. (Actually, we lie – bikes can be hired if you book early!). If photography is your thing, or you just want to nail the next epic outback sunset photo, book a date with Outback Camera Date. Louise Gronold – a professional photographer – is sharing her knowledge and love of photography with snap happy folk with workshops in Barcaldine. Over the course of eight hours, she’ll teach you how to capture the landscape and the night sky like a pro! There’s a new way to get to the Outback, and good news, you don’t even need to be the driver. Palmer’s Coaches has introduced a new line of luxury buses (cue the smell of new leather!) and are now touring through Outback Queensland. 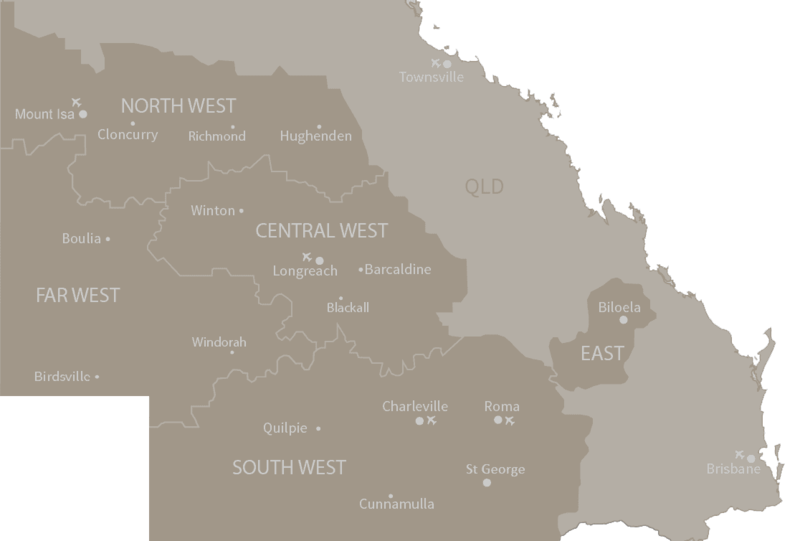 Their 10-day Outback tour starts on the Gold Coast, and brings travellers through Stanthorpe, St George, Cunnamulla, Quilpie, Charleville, Roma and Miles before looping back again. Dust off the red dirt from your shoes and take to the skies with Fox Helicopters for a 40 or 90-minute bird’s eye view of White Mountains National Park and Porcupine Gorge National Park. This view, once only reserved for Pilots and QPWS staff, takes in the best of the national park. Join one of the two tours on offer – White Mountains National Park and Porcupine Gorge National Park – departing from the Torrens Creek Hotel or Hughenden. It’s not just the national parks that are impressive – you’ll be spoilt with views as you travel along the longest river in Queensland, the Flinders River. Tap, tap, tap it in. With a $1 million-dollar prize up for grabs, the Outback Golf Masters proves why 2019 is the Year of the Outback. Gone are the days of progressive dinners – moving from one place to the next for each new course – it’s time to tee up for the outback’s first progressive golf tournament. We can’t guarantee your clubs will stay clean while you play your way around Outback Queensland’s range of courses, but we can guarantee you the chance to take a swing for the prize money on the final course in Mount Isa. The prize money is all yours with a catch – you need to get a hole in one.